I'm back on track! It's been a crazy couple weeks that culminated in a fabulous vacay with some of my very favorite people. More on that later. 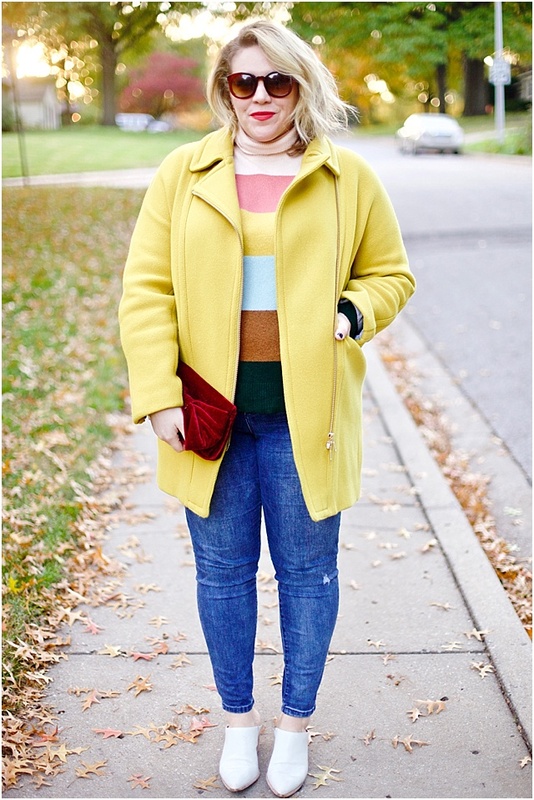 Today, Favorite Blogger Outfit weekly feature is back, AND with an interview. Even more exciting... today it's Anna Jane, of See Jane, rocking a fabulous neon stripe pink dress with a pop of yellow. I immediately feel in love with this dress (stripes + neon = <3) and look the moment I saw it. Even better, she scored this dress on Ebay. I always forget to shop Ebay. It's a good reminder to always check there first for an item or something similar, even if last season's or year's items, and save some bucks. What made you become a blogger? Specifically, a style/fashion blogger? Anna Jane: Fashion and style have always been an interest of mine ever since I was a little kid. However, I honestly started the blog on a complete whim. I had read some others once in awhile but I started it on a random Saturday while I was home visiting my dad who was sick. It became a great way to escape from my corporate job and to really embrace my interests. What is the one thing you do or wear to make most outfits complete before leaving the house? Anna Jane: These days, I don't feel fully dressed without my engagement ring (and now wedding band), but I especially feel naked without earrings. I don't wear dangly ones or anything too obvious, but if I don't have a pair of studs in I feel very self-conscience, oddly enough! 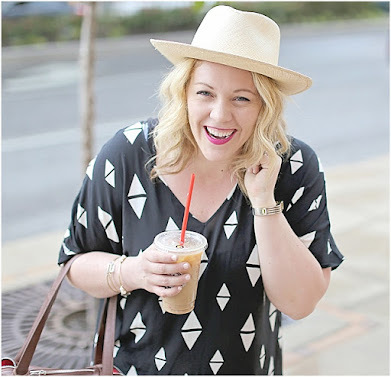 Anna Jane: Definitely blogs. The more I read them, the more I'm inspired by normal girls putting themselves out there for the sake of style. I'm continually amazed by everyone's unique style and I feel like my own style has evolved thanks to personal style blogs! Are you an online shopper or in-store kinda girl? Why? Anna Jane: I'm both, but these days I'm leaning towards online. It's mostly due to the fact that I travel a lot for work and I don't have the time to stop into stores after work. That way, I can order things online and it'll be waiting for me upon my return. That being said, nothing beats going into a store, seeing and touching the clothes/accessories, so I'll always love "in-person" shopping for that reason. Where is (are) your go-to shopping place(s) or site(s)? Anna Jane: I love Gilt Groupe, Shopbop, and Zappos for online shopping. For in-store, nothing beats J.Crew, H&M, and Nordstrom. What is your biggest weakness when it comes to fashion? Something you just can't say no too. Mine is stripes. hah! Anna Jane: I love stripes, too! I honestly cannot resist stripes or polka dots. I've always been a fan and I feel like they're always in style.